Methods (excerpt): In this paper using Redmap as a case study (Box 1), we investigated in what ways marine virtual citizen science (VCS) is developing platforms for citizen participation in conservation management. To what extent are such programs making a tangible contribution to environmental management? We explore this question, via analysis of a survey about the VCS program Redmap against Reed’s best practice for stakeholder participation in environmental management (Reed, 2008). Fig. 1. Participants in the Redmap Australia project pictured with the ‘out-of-range’ observations they logged online. 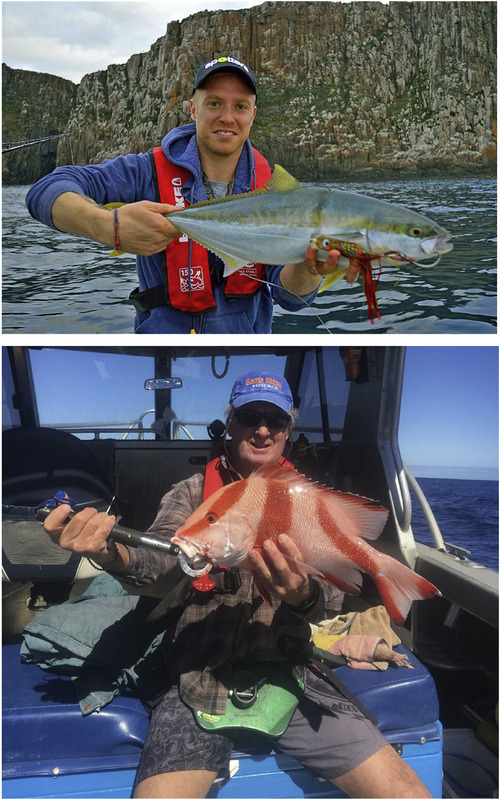 Top: Tom Srodzinski with his first Yellowtail kingfish (Seriola lalandi) caught from the Tasman Peninsula, off Tasmania (photo credit: Jonah Yick), and bottom: a red emperor (Lutjanus sebae) caught off Green Head, Western Australia (photo credit: James Florisson).